Ichino Brugnatelli e Associati traces its history back to the second half of the 19th century, when Attorney Luigi Rossi, a Member of the Senate of the Italian Kingdom at that time, founded Studio Rossi in Milan. His Bachelor Degree had been signed as follows, “Vittorio Emanuele II per grazia di Dio e volontà della Nazione Re d’Italia”. (“Vittorio Emanuele II, King of Italy with God’s Grace and our Nation’s will”). His chamber, located in the heart of Milan, at 26, Via Passerella, would gain outstanding reputation by the end of that century; we still keep in our records a copy of the application form filed by Banca Commerciale Italiana for their registration, sealed by Attorney Rossi and dated 10th October, 1894. Those particular kinds of official requests needed to bear a qualified Attorney’s seal, and Banca Commerciale Italiana, soon to become a prime Italian bank, chose Attorney Rossi for that purpose. 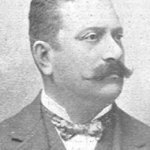 In his will, Attorney Rossi entrusted Attorney Camillo Giussani (1879-1960) – one of his associates as well as a close friend – of the management of what had already become a law firm, and it prospered and moved to larger premises at 1, via Spiga at the beginning of the 20th century. After the First World War, offices were moved again to the ground floor of the still existing historical house at 21, Via Bigli. Attorney Giussani’s qualities were recognized not only by Milan’s Courts and Law Firms, but also by Italian literates (he was particularly fond of Latin literature, and produced some excellent translations of Lucretio’s poems), and by the business environment of his time: Banca Commerciale Italiana appointed him to be their President, and he was in charge for several years, until his death. He had been one of the Directors of the same bank during the Fascist period, despite being often attacked by the Fascists for never sharing their opinions: in 1939, a Senior Officer of the fascist “Milizia” claimed that he should be removed, and wrote an aggressive article against him in the magazine “La Tribuna Forense”. That article read, “He has never fought with us. Neither is he a member of our Party, nor of our Union”. After Attorney Giussani’s death, the Municipality of Milan named a street after him. 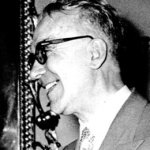 Two of the closest peers of Giussani’s, Attorneys Vermondo Brugnatelli and Carlo Pellizzi, kept the firm running after his death. Vermondo Brugnatelli (1888-1962), who had never hidden his disagreement with the Fascist Party, was elected Cousellor of the Province of Milan within the Republican Party in 1945. Afterwards, he was elected President of the Bar Council of Milan, and then appointed to be the representative of the Orders of the Court of Appeal of Milan by the Italian Bar Council. 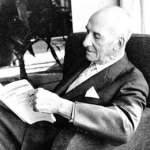 Attorney Carlo Pellizzi (1893 – 1972) wrote the most extensive Commercial Law Commentary of his time, which would be published again in several new editions until the new Italian codification in 1942. He was a bibliophile, as well as a keen painter, and he created an impressive private collection including more than 40,000 books. 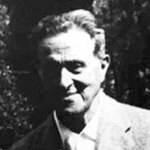 He married Paola Pontecorvo (1899-1984), one of the first women attorneys in Italy, who was tied to her cousin and peer Piero Sraffa by sincere friendship. She volunteered in the Red Cross and supported actively “Nomadelfia” since it was founded in the Thirties, but she was banned from the Public Register of Attorneys because of her Jewish origin in 1939, on account of the racial discrimination provided by the law at that time. She never ceased her charity activities, and after the Second World War she focused on granting free assistance to people in need. Attorneys Brugnatelli and Pellizzi worked together in brotherly partnership for all their lives. 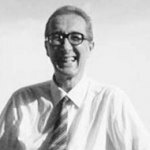 Similarly, Attorneys Luciano Ichino (1920-1997) and Enrico Brugnatelli (born 1926), who took the positions of Attorneys Carlo Pellizzi and Vermondo Brugnatelli when they retired, would always be loyal partners and friends. They had been co-working since the Forties, and kept growing professionally at the same pace throughout the Fifties. 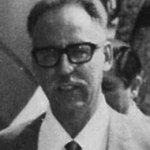 Attorney Giovanni Luigi Pellizzi (1924-1985) joined them in the Sixties, when the departmental chair of Commercial Law was awarded to him at Università Cattolica in Milan. He had previously lectured at University of Bologna in Professor Walter Bigiavi’s team. His writings were remarkable for his deep insight into the relevant topics as well as his bright communication skills. In particular, he is renowned for his Research on Credit Instruments, published in 1960, his exposition on Bank Cheques, published in 1964, and his “Principles of Securities Law”, published in 1965. Luciano Ichino was a Member of the Board of Auditors of Banca Commerciale Italiana for many years; besides, governing authorities of the Municipality of Milan accorded him praise for volunteering in the Tax Council of the same city. By that time, our offices were moved to Via Manzoni, the same street where the headquarters of most prime banks in Italy were located. We stayed at the same address for about twenty years, and finally moved to a larger building at 21, Via Pallavicino. As our activity expanded, our offices took more and more space in the same building, which was restructured accordingly a few years ago, and had the main entrance placed on its side, at 31, Via Mascheroni.